Lobachevsky University scientists under the supervision of Alexey Mikhailov, head of the UNN PTRI Laboratory of Thin Film Physics and Technology, are working to develop an adaptive neural interface that combines a living culture and a neural network based on memristors. This project is one if the first attempts to combine a living biological culture with a bio-like neural network based on memristors. A multi-electrode system will record and stimulate the bioelectrical activity of a neuron culture that performs the function of analyzing and classifying the network dynamics of living cells. 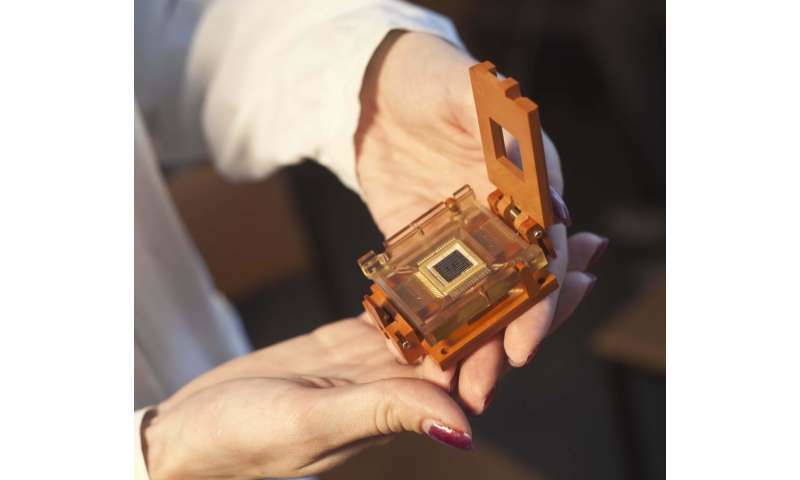 "Due to the locality of the memristive effect (such phenomena occur at the nanoscale) and the use of modern standard microelectronic technologies, it will be possible to obtain a large number of neurons and synapses on a single chip. These are our prospects for the future. We can potentially grow a human brain on a chip. At present, we are doing something on a simpler scale: We are trying to create hybrid electronic circuits where some functions are implemented on the basis of traditional electronics (transistors), and some new functions that are difficult to implement in hardware are realized with memristors," said Alexey Mikhailov. Currently, researchers are exploring the possibility of constructing a feedback whereby the output signal from the memristor network will be used to stimulate the biological network. It means that for the first time, the process of learning will be realized for a living cell culture. The living culture used by the scientists is an artificially grown neuronal culture of brain cells. In principle, however, researchers can also use a slice of living tissue. The use of hybrid neural networks based on memristors opens up amazing prospects. First, with the help of memristors, it will be possible to implement the computing power of modern supercomputers on a single chip. It will also be possible to create robots that manage an artificially grown neuronal culture. Such "brain-like" electronic systems can be used to replace parts of the living nervous system in the event of their damage or disease. The balance in the combination of approaches is the key to successful development and sustainability of the project. The first (and the main) of these approaches is to demonstrate the potential of the "traditional" ANN in the form of a two-layer perceptron based on programmable memristive elements. The key advantages of the artificial neural network include its multilayer structure, and hence the ability to solve nonlinear classification problems (based on the shape of the input signal), which is very important when dealing with complex bioelectric activity. 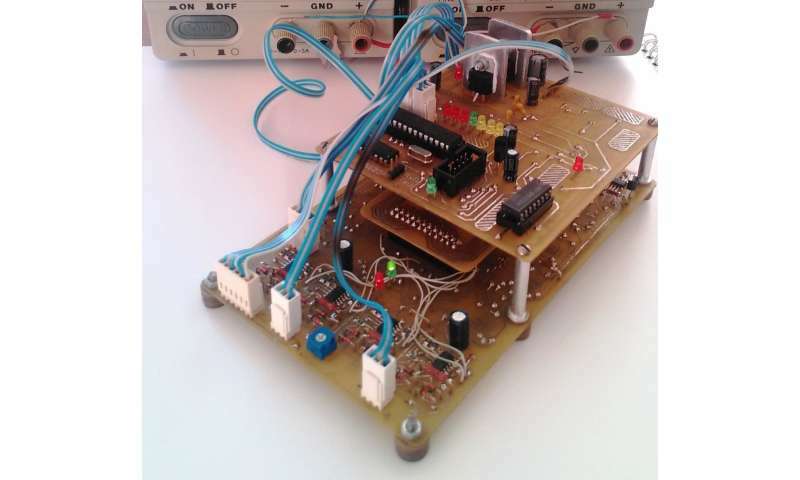 The hardware implements all artificial network elements on one board, including the memristive synaptic chip, control electronics and neuron circuits. In the future, this arrangement will allow researchers to implement the adaptive neural interface in the form of a compact autonomous device. The second approach that the researchers are pursuing in parallel is to find some alternative solutions for creating non-traditional neural network architectures where the stochastic nature and the live dynamics of memristive devices play a key role. These features of memristors make it possible to use them for direct processing and analysis of nerve cell activity, as well as for developing plausible physical models of spiking neural networks with self-organization of memristive connections between neurons. These results make an important contribution to the achievement of the project goal and lay a groundwork for the transition to a qualitatively new level in the field of bio-like memrisive systems.